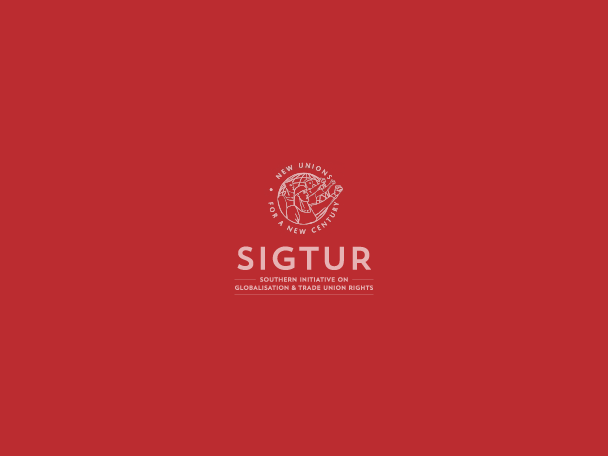 SIGTUR’s actions of solidarity throughout the world with the Korean Confederation of Trade Unions (KCTU) during the 2016 national day of action in Seoul were considered an example of the kinds of actions to be taken by the network. During that action, unions mobilized throughout the member countries demanding the liberation of KCTU’s President Han San-gyun. The Bangkok meeting produced a solidarity statement with the Thai trade unions, which are in a constant struggle for workers’ rights within a complex political situation. The booklet produced by the Futures Commission was also discussed during the meeting, with the perspective of producing a second volume discussing alternatives from the trade union movement. The regional coordinating meeting in Bangkok accepted the proposal of the Argentine Workers’ Confederation (CTA) to host the organising of the next SIGTUR congress. This will take place next year in Buenos Aires, Argentina. The idea of the congress will be to direct the debates and actions of SIGTUR towards the issue of the transformation of work, and the role trade unions and workers play in a new scenario. Furthermore, Argentina will hold the presidency of the G20 during 2018, and therefore the congress in Buenos Aires will allow the SIGTUR unions to put together a perspective from the Global South on where the G20 should be heading, and the role of unions in that process.